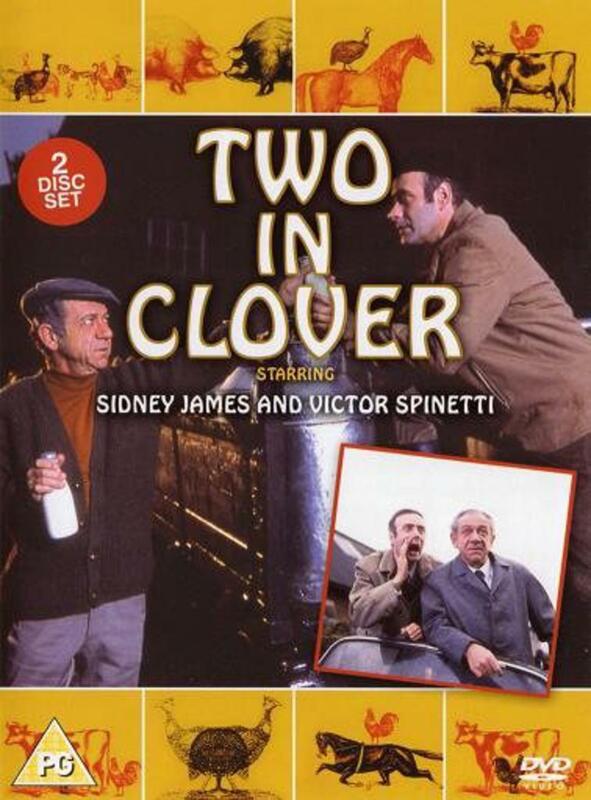 Sid James & Victor Spinetti. Very funny sitcom. The irrepressible Sid James (the Carry on Films) and Victor Spinetti (the TV producer in the Beatles A Hard Days Night) are accountants who leave the rat race by buying a farm. and are soon knee-deep in forms and Friesians. life. and apply for membership of the local hunt. Sid plans the evenings tactics. clanger on Gerald Bromley Jones. know what problems this friendly gesture will present. matters worse, he falls foul of the breathalyser. Guests Bill Pertwee and James Beck. his brother arrives to help Sid on the farm. Guests Hermione Baddeley Charles Lloyd Pack. Two disc set containing the complete two series. The first series is in Black & White, second series in colour. These are region free DVDs which means they will play anywhere including the USA.